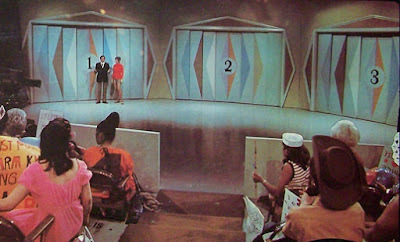 Monty Hall with a contestant in Let's Make a Deal. The news that American TV personality Monty Hall died recently (The New York Times, September 30) caused two groups of people to sit up and take note. One group, by far the larger, was American fans of television game shows in the 1960s and 70s, who tuned in each week to his show “Let’s Make a Deal.” The other group include lovers of mathematics the world over, most of whom, I assume, have never seen the show. I, and by definition all readers of this column, are in that second category. 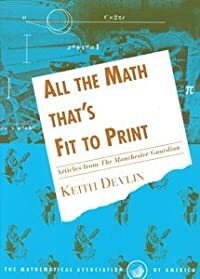 As it happens, I have seen a key snippet of one episode of the show, which a television documentary film producer procured to use in a mathematics program we were making about probability theory. Our interest, of course, was not the game show itself, but the famous — indeed infamous — “Monty Hall Problem” it let loose on an unsuspecting world. So, for example, if the contestant first selects Door 2, Monty might open Door 1 to reveal a goat, and then ask if the contestant wanted to switch their choice from Door 2 to Door 3. The mathematical question here is, does it make any difference if the contestant switches their selection from Door 2 to Door 3? The answer, which on first meeting this puzzler surprises many people, is that the contestant doubles their chance of winning by switching. The probability goes up from an original 1/3 of Door 2 being the right guess, to 2/3 that the prize is behind Door 3. I have discussed this problem in Devlin’s Angle on at least two occasions, the most recent being December 2005, and have presented it in a number of articles elsewhere, including national newspapers. That on each occasion I have been deluged with mail saying my solution is obviously false was never a surprise; since the problem is famous precisely because it presents the unwary with a trap. That, after all, is why I, and other mathematics expositors, use it! What continues to amaze me is how unreasonably resistant many people are to stepping back and trying to figure out where they went wrong in asserting that switching doors cannot possibly make any difference. For such reflection is the very essence of learning. Wrapping your mind around the initially startling information that switching the doors doubles the probability of winning is akin to our ancestors coming to terms with the facts that the Earth is not flat or that the Sun does not move around the Earth. In all cases, we have to examine how it can be that what our eyes or experience seem to tell us is misleading. Only then can we accept the rock-solid evidence that science or mathematics provides. Some initial resistance is good, to be sure. We should always be skeptical. But for us and society to continue to advance, we have to be prepared to let go of our original belief when the evidence to the contrary becomes overwhelming. The Monty Hall problem is unusual (though by no means unique) in being simple to state and initially surprising, yet once you have understood where your initial error lies, the simple correct answer is blindingly obvious, and you will never again fall into the same trap you did on the first encounter. Many issues in life are much less clear-cut. BTW, if you have never encountered the problem before, I will tell you it is not a trick question. 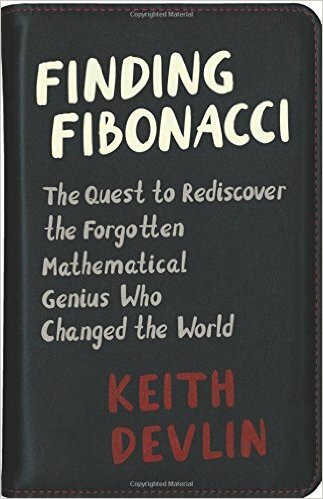 It is entirely a mathematical puzzle, and the correct mathematics is simple and straightforward. You just have to pay careful attention to the information you are actually given, and not remain locked in the mindset of what you initially think it says. Along the way, you may realize you have misunderstood the notion of probability. (Some people maintain that probabilities cannot change, a false understanding that most likely results from first encountering the notion in terms of the empirical study of rolling dice and selecting colored beans from jars.) So reflection on the Monty Hall Problem can provide a valuable lesson in coming to understand the hugely important concept of mathematical probability. 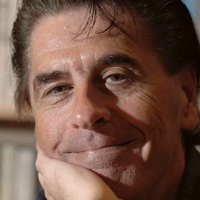 As it happens, Hall’s death comes at a time when, for those of us in the United States, the system of evidence-based, rational inquiry which made the nation a scientific, technological, and financial superpower is coming under dangerous assault, with significant resources being put into a sustained attempt to deny that there are such things as scientific facts. For scientific facts provide a great leveler, favoring no one person or one particular group, and are thus to some, a threat. Good scientists, such as Sagan, are not just skilled at understanding what is, they can sometimes extrapolate rationally to make uncannily accurate predictions of what the future might bring. It is chilling, but now a possibility that cannot be ignored, that a decade from now, I could be imprisoned for writing the above words. Today, the probability that will happen is surely extremely low, albeit nonzero. But that probability could change. As mathematicians, we have a clear responsibility to do all we can to ensure that Sagan’s words do not describe the world in which our children and grandchildren live.